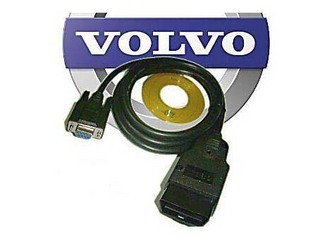 Note You must install volvo FCR on your PCÃÂ¢Ã¯Â¿Â½Ã¯Â¿Â½s hard disk -- it will not work properly if you try running it directly from a floppy or CD. However, you can use a floppy or CD to move the distribution file from a PC with internet access to another PC that does not have internet access. -Turn the carÃÂ¢Ã¯Â¿Â½Ã¯Â¿Â½s ignition switch ON. No need to start the engine. -A PC running Windows It is recommended to use at least a Pentium-100 (or AMD equivalent) with 16MB of RAM and Windows 95 or newer. Volvo FCR may work on some lesser PCÃÂ¢Ã¯Â¿Â½Ã¯Â¿Â½s, but anything less than the above recommendation is unsupported. Windows 95, 98, ME, NT4, 2000, and XP are all fine. Available disk-space is a total non-issue, Volvo FCR requires less than 1 MB.